With four books at a time rental, you receive four books and keep them until you are done. After you have returned them, we'll ship you four more.This plan is limited to 4 books per month. Average Customer Review: 4.5 of 5 Total Reviews: 3 Write a review in French or English, your choice! Merci. We have really enjoyed the books we have received. Everything was high quality and our 2 year old has really expanded his vocabulary knowledge…as have I. I expect that we will rent with you again and I would absolutely recommend your service. Terrific match for ages and interests ! Les Petit Livres fills a great niche. The selections are very well suited for each age range and gender. This service exposes children to such a wide variety of French reading - something we wouldn't be able to do otherwise. The service and selections are excellent. My children are so excited to receive the books in the mail. It makes reading in French a fun experience. Everyone I've told about LPL is really appreciative of this unique and valuable service. 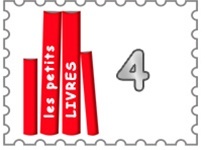 Merci Les Petits Livres!